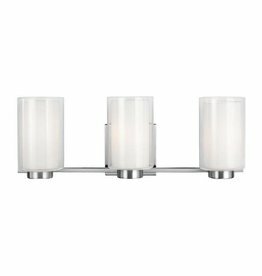 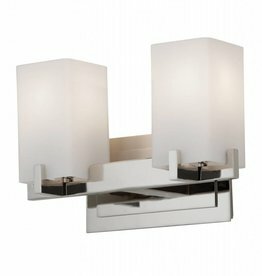 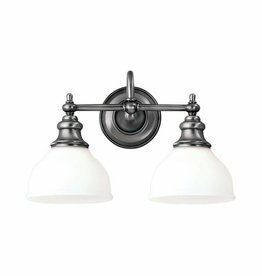 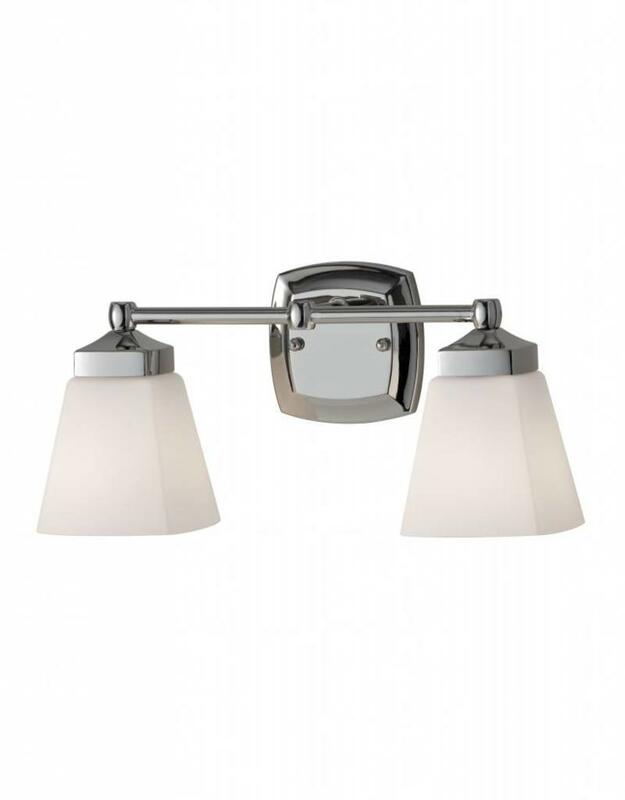 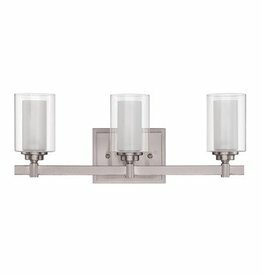 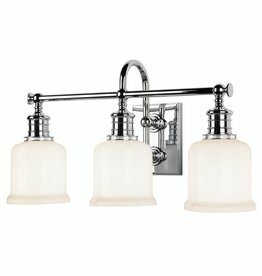 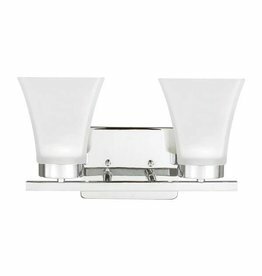 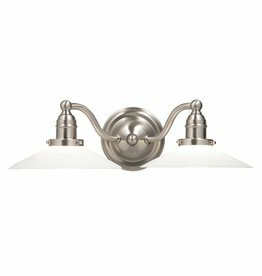 The Delaney bath lighting collection by Feiss contemporary styling to a classic profile. 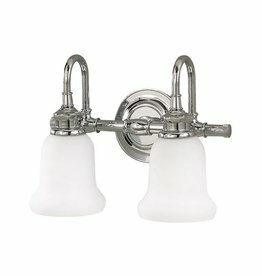 The four-sided Opal Etched glass shades are finished with a robust decorative finial, while the smooth, square back plate bows out with the slightest hint of an arc. 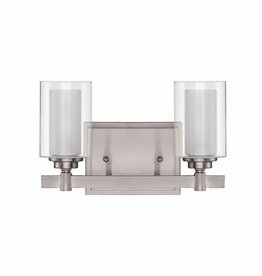 Lamping: (2) Medium A21 100w Max.